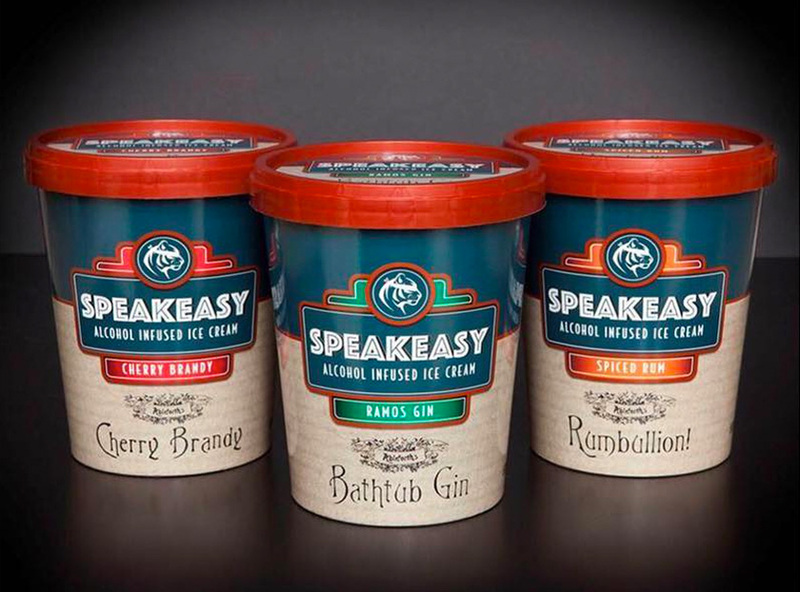 Speakeasy are redefining alcohol ice creams by crafting their indulgent, luxury ice creams in partnership with award winning spirit and liqueur producers. Each flavour is made with no artificial additives and features a single alcohol as its centrepiece to deliver a deliciously smooth and creamy ice cream. The ultimate balance of flavour and texture in every tub. The centrepiece of this flavour is the multi-award winning Ableforth’s Bathtub Gin which features botanicals including orange peel, juniper, coriander, cinnamon, cloves & cardamom. 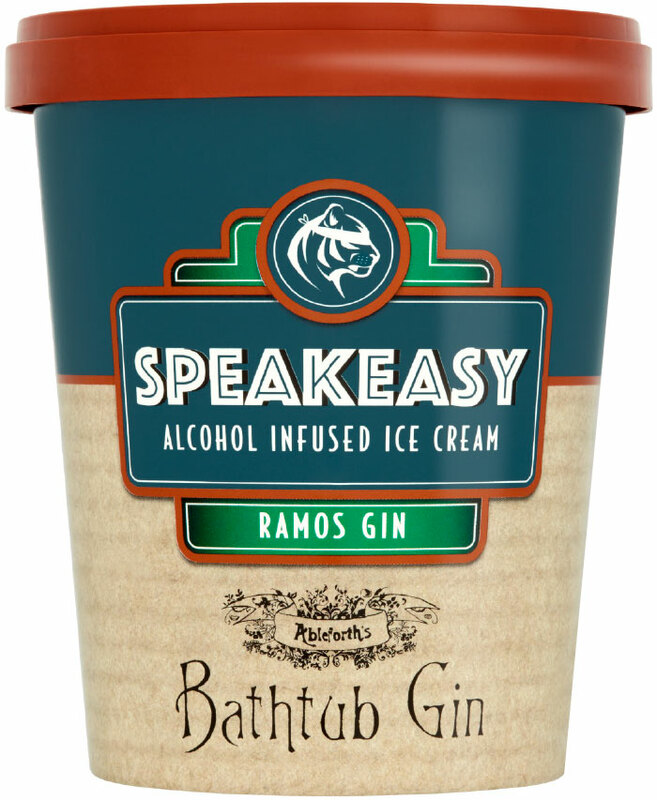 Taking its inspiration from the legendary Ramos Gin Fizz, Bathtub Gin is coupled with intense citrus flavours to create a truly distinctive ice cream, having a rich creamy texture and yet delivering a light and refreshing taste. Ableforth’s Rumbullion!, winner of ‘Best Spiced Rum’ at the World Rum Awards is a blend of the finest Caribbean rum, Madagascan vanilla, zesty orange peel and finished with a handful of cinnamon, cloves and a hint of cardamom. 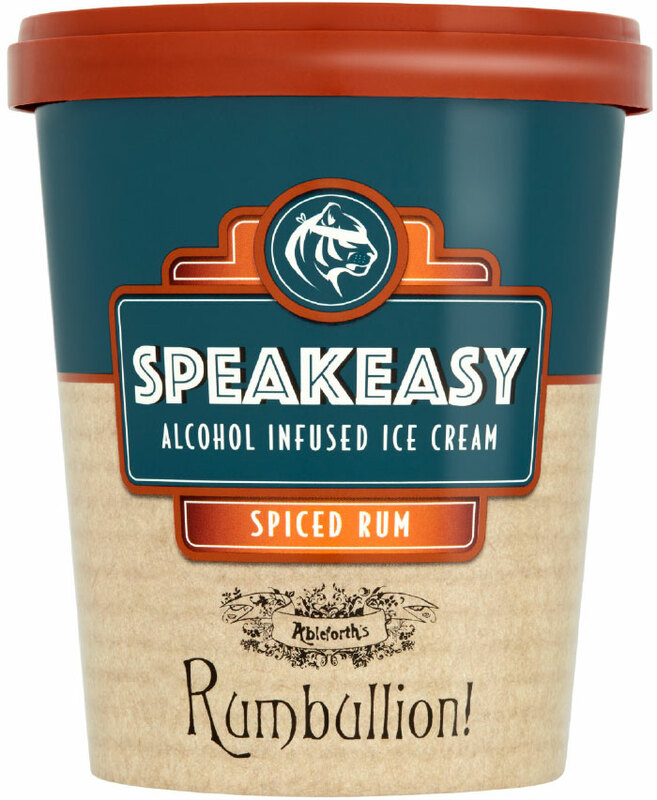 The inspired pairing of this excellent Spiced Rum, with rich and creamy Speakeasy ice cream, results in an original flavour combination and a delicately spiced and enticing ice cream. Unlike many cherry brandies, Ableforth’s own take on this classic is made with real cherries and the finest French brandy. The result is rich and spicy with notes of dark cherries and almond. With this sublime combination at its core, this exceptional ice cream is big on flavour, and perfectly balanced. Lazzaroni has been producing its authentic Italian Amaretto since 1851, made and bottled in Saronno – Italy. The recipe is an old and unique family creation, deriving its flavour from an infusion of the famous “Amaretti del Chiostro di Saronno” cookies. The resulting ice cream flavour has a soft and sweet balance, with the instantly recognisable Amaretto flavour. Conker’s delicious Cold Brew Coffee Liqueur is a complex, dark and fruity brew made from the very best speciality Brazilian and Ethiopian coffee beans. The Cold Brew Method eliminates the acidic, bitter elements of the beans and the resulting liqueur is smooth and dark with natural vanillas and caramels. 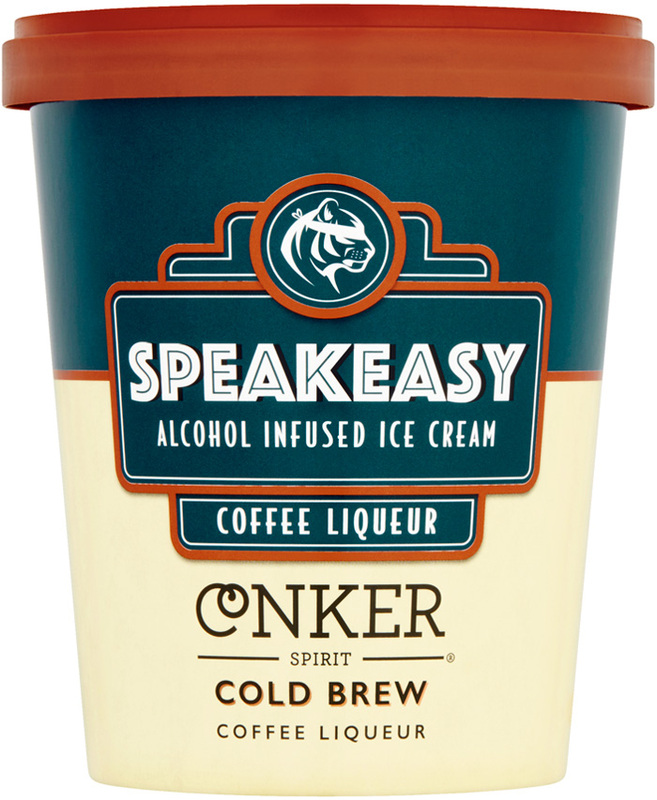 The exceptional flavour of the Cold Brew Liqueur pairs perfectly with the creaminess of Speakeasy’s ice cream promising a real treat for coffee lovers. Perfect with a sprinkling of blueberries! The distinctive and refreshing citrus flavour of Limoncello is the centrepiece of this delicious and luxurious ice cream. Lazzaroni’s Limoncino is made according to an original recipe from the last century, using only the best Sicilian lemons. The unique flavour of this Limoncello creates a ‘sherbet’ sensation to the ice cream, perfect for cutting through accompanying rich flavours. I wish I'd thought of having this with apple crumble. I don't eat ice cream much because it's unhealthy but this was a really nice treat. I could taste the rum just fine. I drink a lot of rum. I don't worry about whether that's healthy. Delicious and flavoursome but not overpowering. Great with apple crumble. Nice creamy texture too. Both my husband and I loved it. Very creamy with a rum taste that joins dessert and alcohol really well. We tried on its own but also had it with warm brownie which was our favourite option by far! Creamy ice cream that goes down easily, with a distinct taste of rum on the palate...definitely recommended! Good for serving as part of a dessert, for example with roasted peaches. Imagine it would work in winter with a hot pudding too. Creamy with just the right amount of rum, good on its own or to accompany desserts. Lovely! We had this with a spiced apple strudel, and it was perfect beyond belief. The contrast was ideal. This isn't very strongly rum tasting, more a note than anything more, but it's ideal to go on hot puddings, or as an affogato, on that basis. Be great in a summer pavlova, too. It's basically a very nice, smooth and soft, vanilla with a light note of rum and spice. We really liked it and will buy again for this purpose. Im not a drinker and I detest rum and raisin icecream but I was keen to try this as I absolutely love the other flavours. Its a revelation. Creamy, indulgent and just the right amount of rum flavour. Delicious on its own but equally with warm fruit or sweet mince pies. The makers of this are genius. Ive already ordered 2 more tubs! so soft and delicious...could eat it all day!! You will like it more if you like a cherry almond taste. Very creamy and doesn't over freeze, presumably as alcohol freezing temperature is very very low. I wasn't sure about the flavour but once I tried it, it was great, cherry with an almost almond undertone, very creamy and smooth. Lovely! I liked this. Nice smooth and creamy ice cream, with a good cherry flavour. A sense of alcohol rather than seeming alcoholic. Would definitely buy again. Tasted delicious, like stollen. My husband loves it! Lovely, smooth, thick, creamy ice cream with well-balanced cherry brandy flavour. We didnt plan to eat the whole pot at once, but it was too hard to resist! Definitely will buy again, and looking forward to trying the other flavours too. Brought this to try and have to say it was a pleasant surprise. Will be a regular in our shop. So creamy and flavoursome. Tried this tonight thought it was truly scrumptious. Indulgent, smooth, creamy icecream. Its has a lovely rounded cherry brandy flavour. Great on its own but I think this flavour would be great paired with any chocolate desert. Ive already ordered two more tubs! I like my ice cream softened a bit rather than straight from the freezer. This less glacial temperature probably allows the gin flavour to come out as I found a very pleasant, but not excessive, gin-like tang on top of the creamy base. Expensive, but I'm buying again. This is so great! I just received it and Im already loving it! Very enjoyable. Very creamy with just a hint of gin. Was expecting something much sharper so was pleasantly surprised by how smooth and creamy this was. My husband and I were a bit skeptic although about this ice cream but were really pleasantly surprised. Its smooth and delicious and we are going to use it at a dinner party this weekend! A real creamy and great tasting ice cream. Not overpowering flavour but I could definitely taste the gin. This went amazing with a chocolate desert. A creamy tasting ice cream and definitely tastes of gin. Quite rich so I wouldn't eat a lot of it but well worth buying. Smooth and creamy texture. Gin flavour wasnt overpowering. Lovely creamy ice cream. Definitely tasted of gin. Got the floral notes also. I left it out of freezer 15 minutes before eating. This is the most indulgent and creamy icecream Ive ever tasted. Delicious light and refreshing flavour. I have already ordered more. Cant wait to try the other flavours. What better way to cool down in the warm weather than with a delicious booze-infused ice cream? 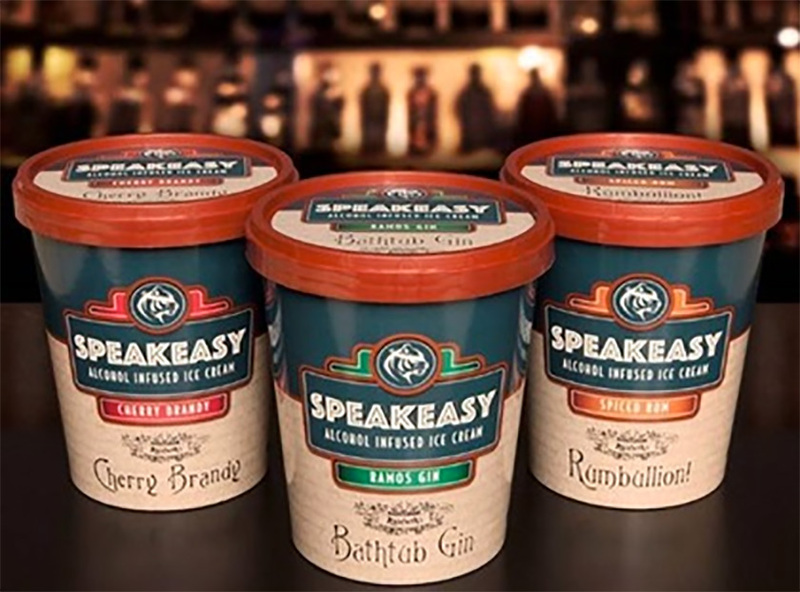 Speakeasy, named after the illicit bars and clubs that sold booze during the American Prohibition era, has partnered with the award-winning craft spirit and liqueur producer Ableforth to launch three luxury ice creams. The Spiced Rum flavour is infused with Ableforth's Rumbullion, which won the Best Spiced Rum accolade at the World Rum Awards. It combines rich spices such as cinnamon, cloves and cardamom with Madagascan vanilla, orange peel and, of course, the finest Caribbean rum. The Cherry Brandy is made with Ableforth's high-quality version of the spirit, with real cherries and French brandy. Finally, the light and refreshing Ramos Gin flavour boasts orange peel, juniper, coriander, cinnamon, cloves and cardamom in the multi-award winning Ableforth's Bathtub Gin. All three off a light flavour of alcohol with the creamy taste of artisan ice cream. Available through Ocado, in Wholefoods and independent retailers, Speakeasy Ice Cream is and all-year-round treat. Delicious with fruit or over crumbles or pies,, and good enough to eat straight out of the tub. It's also perfect for pairing with festive treats such as Christmas pudding and mince pies. 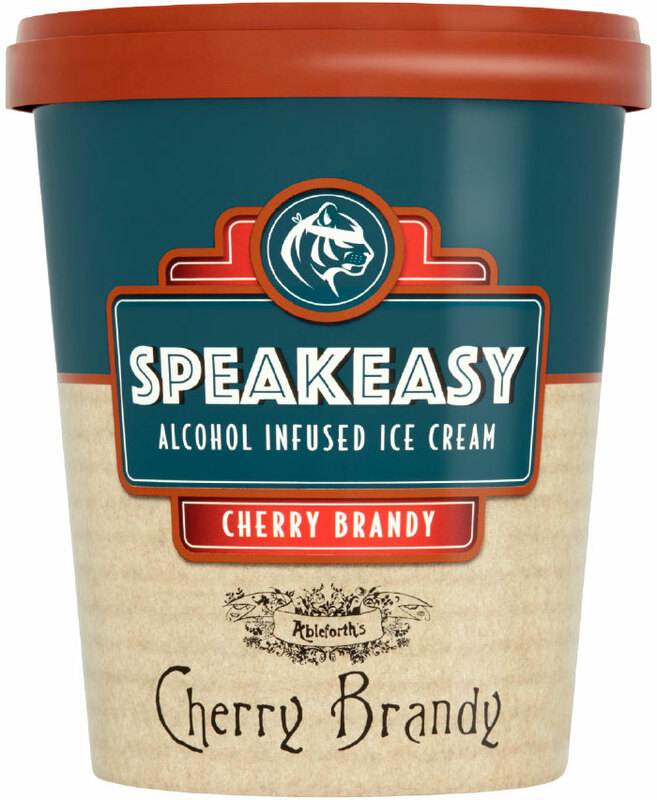 The new Speakeasy range of alcohol-infused ice creams has rapidly made its mark on the spirits and liqueurs landscape. The gin version, crafted meticulously in partnership with Ableforth's Bathtub Gin, is truly indulgent. Ridley says: "This should get any gin lover with a sweet tooth smiling from ear to ear." The desserts are perfect accompaniment to your pick of unforgettable cocktails. And we mean devour, as with just over one per cent alcohol, Speakeasy's new ice creams won't get you drunk, but in decadent Coffee Liqueur, Amaretto and Limoncello flavours, will make you feel very satisfied. 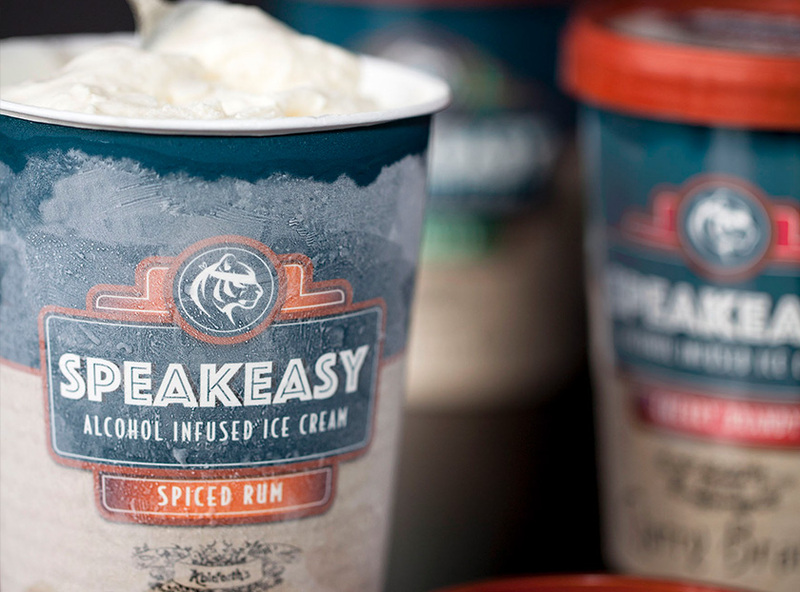 Speakeasy Ice Creams has expanded its portfolio of boozy ice cream with a range based on after-dinner drinks. Working with Italian liqueur maker Lazzaroni, Speakeasy has added Amaretto (1.2% abv) with "a soft and sweet balance" and Limoncello (1.1% abv). A third new variant, Coffee Liqueur, is made with Dorset craft spirit maker Conker. The range will be available initially for foodservice. Is boozy ice cream set to be the next big thing? Forget rum-raisin! When it comes to booze-flavoured ice cream, cheery brandy and gin fizz are where it’s at. So insists Jane Woodhead, co-founder of Speakeasy, the alcoholic ice cream start-up that made its retail debut in November. Playing it safe is no longer an option. “In terms of flavour trends and what’s on the shelf, the biggest development is with flavour; the more creative the better.” she says. With premium sales in strong growth, suppliers are increasingly turning to their drinks cabinet for inspiration. “As amazing craft spirits have been hitting the market, so has awareness of new flavour profiles, and we’re seeing a crossover in consumers coming from the craft spirit section to ice cream” Woodhead adds. 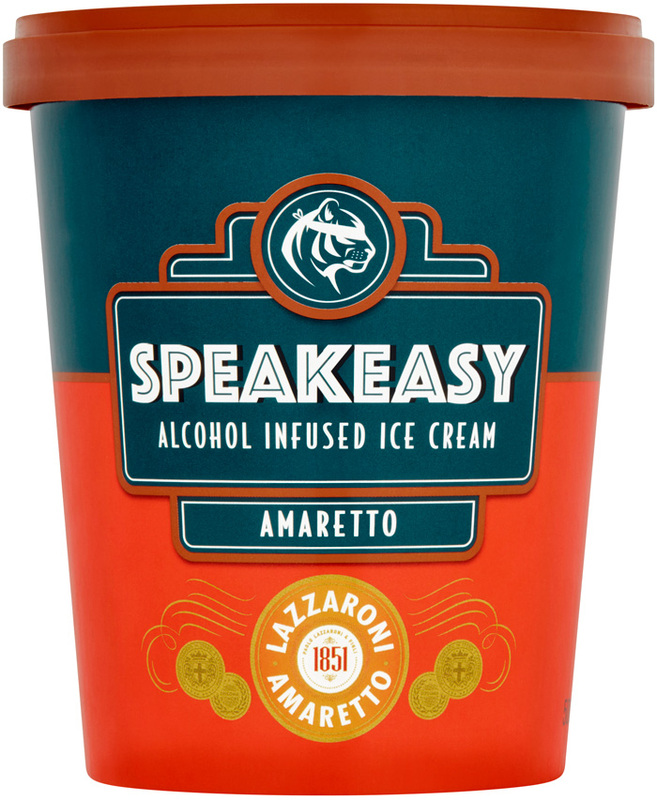 New alcoholic ice cream brand Speakeasy Ice Creams launched in Ocado in November last year with their debut range of “sophisticated, single spirit flavours” (rsp: £5.99/500ml). The brand has partnered with alcohol producers Ableforth’s to create the range, capitalising on the growing consumer demand for craft spirit flavours. 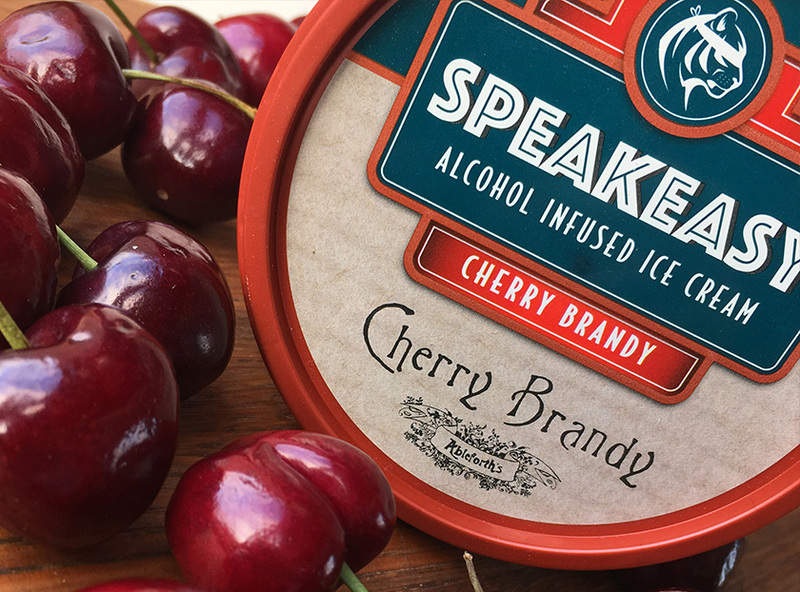 Speakeasy’s indulgently creamy alcohol-infused ice cream is created in partnership with award-winning craft spirit producers. Their first range, the Ableforth’s Collection, includes Cherry Brandy, Spiced Rum and Ramos Gin flavours. Boozy ice cream brand Speakeasy has launched three ice creams created in partnership with craft spirit brand Ableforth’s into Ocado. Ramos Gin, Spiced Rum and Cherry Brandy flavours, created with Ableforth’s Bathtub Gin, Rumbullion! and Cherry Brandy respectively, rolled out into the online retailer this week, with abv of 0.8%-0.9% and at an introductory price of £4.99/500ml (rsp: £5.99). It marks the first national retail listing for the Kent-based brand. Ramos Gin “took inspiration from legendary Ramos Gin Fizz” with “intense citrus flavours” and a “light, refreshing taste” said the brand, while Spiced Rum contained “creamy” Madagascan vanilla, cloves and cardamom. Cherry Brand was “rich and spicy with notes of dark cherries and almond”. "Last month the startup Speakeasy, from Kent, became the talk of the IFE the inﬂuential food and drink expo in London, with its range of gin, cherry and spiced rum ice creams"
Please make sure ALL fields are completed and that you have entered a valid email address. Ableforth’s, Bathtub Gin, Rumbullion! and the coarse brown paper wrap are trade marks of Atom Supplies Limited and used under licence from Atom Supplies Limited. © Speakeasy Ice Creams Limited 2018. All rights reserved.